For two years "BFC Steve," a.k.a. the League's Steve Clark, traveled around the country to help communities become more bike friendly as part of the League's Bicycle Friendly Community℠ program. You can find information about his adventure here, and see the insights gained from two years of travel to communities looking to improve conditions for bicyclists. Thanks to the support of Trek and Trek dealers throughout the nation, Steve was able to travel the country, visiting cities to help them become more bike-friendly as part of the new expanded Bicycle Friendly Community program. Each community that was visited received a report card and information about the Bicycle Friendly Community progam. Below, you can see which communities Steve visited (in red). Included in each city pop-up description is the date I'll be visitng or there is a link to my "report cards" for each community. These lay out what each community is doing well and also points out areas in which they can improve. Beneath that, you can read through all of Steve's blogs from the road. To see more from Steve's journeys check him out on Twitter, @BFC_Steve. 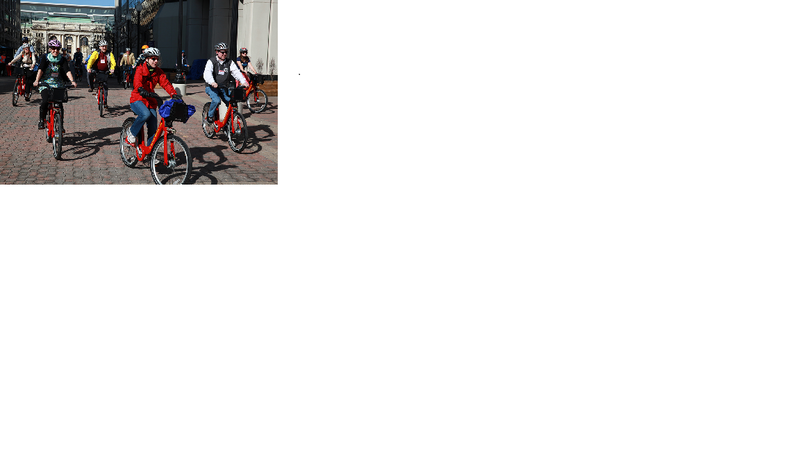 If you're interested in learning more about the Bicycle Friendly Community program, please contact bfa@bikeleague.org. How Can Laws Promote Bicycling? Read more on the League blog at bikeleague.org/blog.